Vodafone, the second largest telco in the India, is now offering unique ‘3-in-1 Smart SIM cards’ for their subscribers. From the last few months, we have seen how Bharti Airtel promoted their 4G SIM cards (128K) through advertisements or by giving them away for free when one purchases 4G-enabled smartphones from leading e-commerce website Flipkart. Now, Vodafone has introduced a similar SIM card, which will be necessary to access their upcoming 4G LTE services in five circles; Kolkata, Mumbai, Delhi-NCR, Karnataka, and Kerala. The new Smart SIM (128K) can be used as a normal/ micro/nano SIM card. As most of the newer handsets requires micro or nano SIM card slots, it will be beneficial for many subscribers. 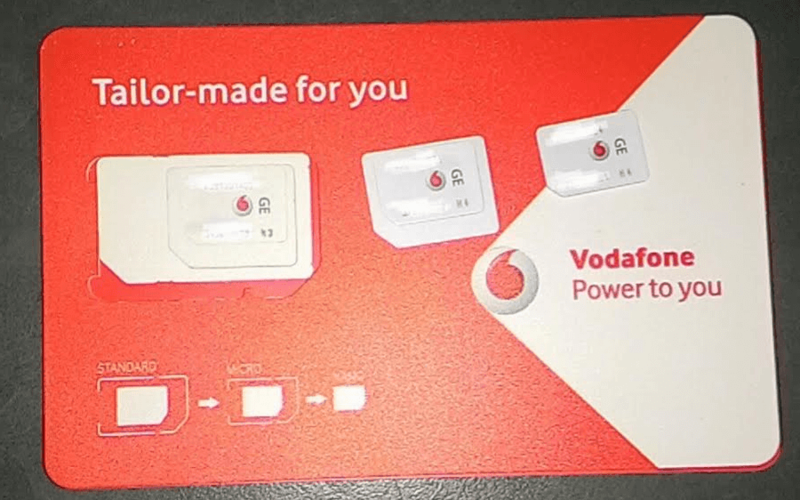 This ‘3-in-1 Smart SIM card’ is now available from Vodafone Stores (I got one from Vodafone Store in Barrackpore, Kolkata) and you will not be charged any money if you show the original SIM, and provide required documents. However, Vodafone doesn’t have an easy SIM Swap option. In this regard, Vodafone has an old system, and if you go to its store to swap the SIM, you will have to wait for two hours to get the new SIM card activated without losing account balance and data benefits. Those who come to Vodafone’s network through MNP would also get the newer Smart SIM from Vodafone Stores. We would like to mention that if you are a Vodafone subscriber in one of the mentioned circles, you can upgrade the SIM card for upcoming 4G services.